Unique in Nature. They do not involve any repetitive processes. Every project undertaken is different from the last, where as operational activities often involve undertaking repetitive (identical) processes. Have a defined timescale. Projects have a clearly specified start and end date within which the deliverables must be produced to meet a specified customer requirement. Have an approved budget. Projects are allocated a level of financial expenditure within which the deliverables must be produced to meet a specified customer requirement. Have limited resources. At the start of a project an agreed amount of labour, equipment and material is allocated to the project. Involve an element of risk. Projects entail a level of uncertainty and therefore carry business risk. Achieve beneficial change. The purpose of a project, typically, is to improve an organization through the implementation of business change. Project management began in its early form in the late 19th century, driven by government large scale coordinated project that were underway and the managers that found themselves having to organize a huge labour workforce at the site as well as coordinating another large production workforce and unprecedented raw materials in the factory. The complexity of the project naturally drove management practices towards project management processes. At the turn of the century Fredrick Winslow Taylor began to analyse the approach towards management, looking at scientific reasoning and applying this to the labour force to demonstrate how, by analyzing individual processes improvements could be made. Taylor’s associate Henry Gantts then added an important visual tool, the Gantts chart, around 1917 that focused on the individual task, outlining and focusing on each element to produce a powerful analytical tool that has remained virtually unchanged until today. The Gants chart dramatically advanced the science of project management. The next major step forward in project management occurred after World War 2, specific techniques emerged for planning and managing huge budgets and workforce. The most well known were the Pert (Program Evaluation and Review Techniques) and CPM (Critical Path Method), which became synonymous for project scheduling techniques. Although some changes and minor tweaks were made but not much changed until the 1990’s, Project Management until this point had been used mainly on large government projects like the nuclear weapons race. With the advent of computers and software the project management tools became easier to use, more readily available and quicker to use, therefore more suitable for smaller (although still large) projects and different disciplines. In Modern terms in the construction industry each project employs a project manager, who puts together a team and ensures the integration and communication of the workflow horizontally across different departments and organizations. A set of skills. Specialist knowledge, skills and experience are required to reduce the level of risk within a project and thereby enhance its likelihood of success. A suite of skills. Various types of tools are used by project managers to improve the projects chances of success. Examples include document templates, registers, planning software, modeling software, audit checklist and review forms. Although the definitions are slightly different in their description, there core meaning is exactly the same and is widely accepted by the profession itself as an accurate statement. In a recent report by the Project management institute (1999) on the future of project management, all items with regard to future developments and how the industry can advance and progress are detailed, however surprisingly there is no mention of any project management theory even when the future of the profession is in focus. This is a much debated topic with many different views, in a paper by Lauri Koskela & Greg Howell called “the underlying theory of project management is obsolete’ (PMI, 2002), it debates the topic and states that prior literature has generally agreed that there is no specific theory of project management, (Shenar 1998, Turner 1999), however according to Lauri Koskela & Greg Howell this is an inaccurate and damaging conclusion. In a wider study on the topic (Koskela & Howell 2002), argued that both the PMI & Kloppenberg and Opfer are wrong. Project management as practiced today is indeed a theoretical process, however this theory is narrow and needs further development and enrichment. They argue that it is the lack of understanding and development of the theory that is a major problem associated with project management. Frequent project failures (Kharbanda & Pinto 1996), lack of commitment towards project management methods (Forsberg & al. 1996), and slow rate of methodological renewal (Morris 1994). Thus they conclude that an explicit theory is the crucial and single most important issue for the future of the project management profession. Kosela basically argues that the theories of project are the same as theories of production. The reasoning behind this is that project can be seen as a special type of production. This is evident from the definition of a project according to the Project management Institute (2000): “A project is a temporary endeavor undertaken to create a unique product or service”. An adequate or sufficient amount of work is done. 1. Project management is about managing work. 3. The conceptionalization and principle of decomposition serves three essential purposes of project management. Although not specifically mentioned it is an implicit assumption associated with decomposition, this is that task are related if at all by sequential dependence. When comparing the crystalisation of project management to the theories of operations management in general, it is easy to recoginise that it rests on the transformation theory of production, which has dominated product thinking in the 20th century. For example, Starr (1966) formulates; “Any production process can be viewed as an input-output system. In other words, there is a set of resources which we call inputs. Their argument does have a lot of merit when comparing production with the discipline and processes of project management there are many similarities; however this is an in-depth and complex topic and currently has no professional endorsement. This theory based on operations is an argumentative one, there is surprisingly, at present no clear academically or professionally agreed theory for project management as a discipline, which considering the quantity of projects undertaken and the financial expenditure of these project extremely surprising and if koskela (2002) is correct then a rather alarming omission on the part of a so called professional industry. Project lifecycle consist of four all encompassing phases, Project Initiation, Project Planning, Project Execution and Project Closure. There are many other descriptions for the four phases however the content of each phase is universally agreed. The fast track approach does not adhere strictly to this phase on a macro level but does using a sequential design procurement package approach follow each phase accordingly. You must remember that the definition of a project is a one off scheme unique in all aspects, therefore the descriptions below may change accordingly to the project or clients need / demand. This is the initial stage of any project where a business opportunity is identified, usually by the client and his advisers, and a business case put together to provide the solution or recommendations required to fulfill the business plan. A feasibility study is then carried out to look at the various business options and identify the final business plan solution. Once the final business plan is put together a “project” is then initiated to deliver the approved business solution. A “term of reference” is then completed and a project manager appointed. The project manager then identifies the appropriate project team required and starts to assemble this team establishing a project office. This stage can only progress once the project scope is identified and defined in terms of reference; from here the project enters its detailed planning stage. The main focus of this stage is to ensure that the activities performed in the execution phase of the project are properly sequenced, resourced, executed and controlled. Financial Plan – This is a detailed breakdown cost plan that identifies the costs associated with the resource plan. The expense schedule provides a quantified breakdown that can be used to monitor the forecast spending vs. the actual spending. Quality plan – To ensure the quality of the project a detailed plan is developed that identifies and clearly defines the quality expectations of the delivered project. This not only the entails the delivered product but the management procedures and processes to ensure that the clients expectations are met or exceeded in the delivered end product. Acceptance Plan – This is a plan that documents the sign of or “acceptance” from the client on each deliverable. This includes documents, plans and finished product. The need for this document is to safe guard all parties and ensure that sign off occurs in a structured manner before works proceed in earnest. Communication Plan – This is the establishment of the reporting process for the project, who, when, where and how are the issues to be decided on and documented. Responsibility for the individuals involved is also detailed with regard to who, when, where and how. Procurement Plan – Identifies the products or service to be sourced from specialist suppliers. It also provides detailed information of the product, the reason for the products selection, procurement timeframe for the product and the selection process for the preferred supplier along with the ordering process. This phase is usually the longest and involves the execution of all activities and tasks as detailed in the Project Plan. During there execution a series of management tools and processes are undertaken to monitor, control and communicate the status of the deliverables. Construction / build deliverables – this is the physical construction of each item to the client’s acceptance / sign off. Monitor and control – Is the process of a series of management tools initiated by the project manager that controls and records the activities of the deliverables. Time management – Records the time spent by staff on the project. Time is a scarce resource and once lost is difficult to get back. Cost management – costs and expenses incurred on the project are identified, recorded, approved and paid. This is via expense forms and other project expenditure forms related to project expenses. Quality management – This is a control process including physical and managerial processes to ensure both the journey and the final product meet or exceed the client’s satisfaction. Change management – simply put it’s a process to record changes to the project. This can be design, timeframe, materials, quality expectation or deliverable, regardless of the discipline it’s the method to record and communicate the changes. Risk management – is the process whereby all risks to the project in its entirety are assessed resolved and recorded. A risk can be identified at any stage as in all project it tends to be an organic process that evolves during its phased development. Issue management – Sometimes referred to, as key issue management is a method by which any element affecting the project delivery or process is identified, timeframe assigned for resolution and issue resolved and recorded. Normally also recorded within the change management register. Procurement management – Process of procuring and ordering materials and services within an agreed timeframe to the project teams and clients satisfaction inclusive of contract administration and contract close out. Communication management – describes the process required to ensure the timely and appropriate generation, collection, dissemination, storage and ultimate disposition of project information. It consists of communications planning, information distribution, performance reporting, and administrative closure. Once the project is complete and accepted as such by the client it is now time for the formal closure of the project. By using the formula as above the project should have been a successful one that met or surpassed its objectives. Identifying all outstanding items, activities, risks or issues. Handover plan to transfer the delivered project to the client. Detailing activities required so the client is self sufficient, conclude contracts, resources and handing over warranties etc. Communicate the projects closure to all parties. Feasibility – project formulation, feasibility studies, strategic design and approval. A go/no go decision is made at the end of this time. Planning and Design – base design, cost and schedule, contract terms and conditions, and detailed planning. Major contracts are let at the end of this phase. Production – manufacturing, delivery, civil works, installation, and testing. The facility is substantially complete at the end of this phase. Turnover and start up – final testing and maintenance. The facility is in full operation at the end of this phase. Project management is an integrated discipline, where action or inaction in any one area can and will usually affect others areas. These interactions are not always clear-cut and can affect different aspects in a subtle but damaging way. PMBOK (1999) using an example as a scope change that will not affect the project cost, but it may affect team morale or product quality. These interactions and developments that occur during the project may/will require trade off’s among the project objectives, to enhance in one area another may suffer. It is the project managers role to have a complete overview of the project and ensure the end objective is met and any trade off’s are insignificant come the end of the project. Project management processes show these interactions with each other and show how project management processes interlink. Project management processes that describe and organize the work. Product-orientated processes that specify and create the project product. Typically defined these are as shown in the project lifecycle as demonstrated in the previous pages. These two processes overlap and interact continually, for example how can the work program be completed without an understanding of the process involved in producing the product. The project management processes are then sub divided into five more groups, these groups link together because of the results they produce. These results or outcomes become an input into another group and the interaction continues in this manner. Planning process – developing and maintaining a suitable scheme that accomplishes the business need that the project was undertaken to address. Controlling process – that monitor and measure the progress and ensure the project objectives are met. Closing process – agreeing acceptance and sign off for the project or phase and documenting the fact. These five elements or processes are not only a one-time event, they also overlap and affect following elements. As demonstrated below in graph form. These processes are all detailed and documented in the Project Plan, it is this plan that documents and controls the entire project process. The plan at initial stage may include generic resources and undated durations while the final plan reflects the specific resources and explicit dates as formulated through the organic developments that are a project. The project plan is the key document in the projects successful management and is developed at the initial project stage. This document is an organic one and is developed as the project develops. Project plan development – taking the results of other planning processes and putting them into a consistant, coherent document. Project plan execution – carrying out the project plan by performing the activities included therein. The project plan provides a statement of how and when the project objective are to be achieved, by detailing the major milestones, products activities and resources on the project. It is a customized document developed for each project from a standard template, tailored to suit the project. Document project planning decisions regarding alternatives chosen. Define key management reviews as to content, extent and timing. Provide a baseline for progress measurement and project control. Project planning methodology - This is any structured plan used to guide and direct the project team during the development of the project plan. It can include a variety of soft and hard tools such as project management software and facilitated start up meetings. Stakeholder’s skills and knowledge – Each stakeholder does/can have different skills and knowledge base, which can assist with the project in many ways. The project must be structured in such a way that stakeholders can contribute. Project Management Information Systems (PMIS) – Project management information systems consist of tools and techniques used to gather, integrate, and disseminate the information from the other processes. Project Plan execution is the main process for carrying out the project plan. The majority of the budget is expended during this phase and therefore the biggest risk for the success of the project. During this phase it is critical that the project manager and project team direct and coordinate the technical and organizational interfaces that exist in the project. PMBOK (1999) states that it is the “project process that is most directly affected by the project application area in that the product of the project is actually created here. General management skills – These are skills like leadership, communication and negotiating, all essential to effective project management. Product skills and knowledge – there must be an appropriate knowledge and understanding of the products to be used and their methodology. Work authorization system – this is a formal process whereby work is sanctioned formally to commence, either a package or specific activity, always in writing on larger projects, occasionally verbally on smaller projects. Status review meeting – these are the regular scheduled project meetings. They are held between different levels of project team, suppliers, contractors, clients and stakeholders. Project Management information system – as described before. Organizational procedures – any and all of the organizations involved in the project may have formal or informal procedures useful during project execution. 2.1.2 Roles, Responsibilities, Authorities, Accountability. 2.1.5 Relationships with other D&O Offices. The plan above demonstrates the core processes and elements as discussed earlier, it is as previously stated an organic document and is developed as the project continues, with detailed documents, team units, detailed planning for phases as they progress. It is the responsibility of the project manager to ensure that the plan is updated as works proceed. Project management involves more than just what a project manager does, all team manager engage in some level of project management, whether meeting deadline, communicating with others, or estimating task durations. 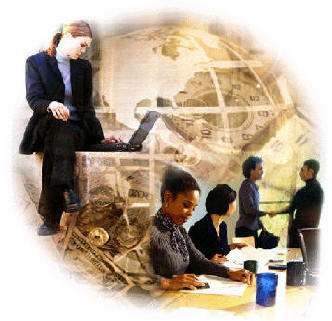 Everyone involved in the project contributes to its success. The lack of agreement regarding the theory of project management, as detailed previously, is an area that requires greater immediate attention from all professional and academic bodies. Although I agree with some of the conclusions offered by Lauri Koskela & Gregory Howell (2002), who argue that project management theory can be related to current production theory and treated as special production, there is no agreement by any professional body that this theory is relevant. Therefore as such an important profession involved in such a diverse range of industries, where huge amounts of money are expended it is inexcusable that there is no agreed theory. One of the most important conclusions of Lauri Koskela & Greg Howells (2002) paper was their finding that the current problems associated with most project failure was the lack of theory, or the errors in the current project management practices caused by the lack of a profession to establish an agreed theory. They state management tools not utilized and exceeding budget and time over runs as a basic flaw in the current thinking and methodology of project management. For project management to develop as a profession it is essential that a theory is developed, processes refined and universally agreed upon however, there are three major problems currently, one of the major causes of problems associated with projects in my 22 years experience, stems from people attitudes. The “Them & us” scenario, regardless of any new theory and refinements, attitude towards a team approach is the key to success. Until we learn to respect each other and each other’s discipline and work as one-unit projects will always fail. Maybe project management theory is a mix of ‘production theory, management theory and behaviour science, particularly as every project is unique therefore we are people reliant. Another key aspects is the project life cycle, as shown in the main text there are processes that need to be finished before others commence, sequential processes, again however, in today’s globally competitive market place one of the key factors in selection of a project management team by a client is a team that can say “YES” to the clients demands, on time, cost and quality, particularly on time. This means that the word “fast track” is a generally used term for the majority of projects, commencing before they are properly researched and designed, this provides an uncertain end product with regard to quality and an uncertain end cost. Also there is a lack of understanding towards the actual processes that occur during construction, packages are awarded in this scenario that interlink with others, however due to lack of understanding and communication with the project team errors and delays occur as works are delayed by this overlap, the sequence of works. They also conclude that “in the present big, complex and speedy (fast track) projects, traditional project management is simply counterproductive; it creates self-inflicted problems that seriously undermine performance”. The lack of project management theory as shown in previous professional and academic papers (PMBOK 1999 and Kloppenberg and Opfer 2000) is a worrying omission, this combined with the problems on many project ( An example, wembley football stadiums, current 2 year over run) and the papers by Koskela & Howell (2002) & Koskela & Rubin Vrijhoef (2003), can only bring us to one conclusion. The conclusion from the academic and professional research available, is that the final statement in the Koskela (2002) paper is an accurate one. This state’s “ The present evidence is strong enough for the claim that a paradigmatic transformation of the discipline of project management is needed. The transformation required implies that a more intimate relation between theory and practice must be created in project management. Theory and practice have to be developed concurrently, similarly to other science-based fields, where theory is explicated, tested and refined in a continuous dialog between the scientific and practitioner communities”. Project Management Consulting / AEW Services, April 2001. Researching the Unanswered Questions of Project Management – Project Management Research at the Turn of the Century. Proceedings of PMI Research Conference 2000. Lauri Koskela & Gregory Howell / PMI, 2002.